The TRS noodles are quick to cook and can be used as a base to make a variety of dishes such as chicken noodle soup and stir fries. 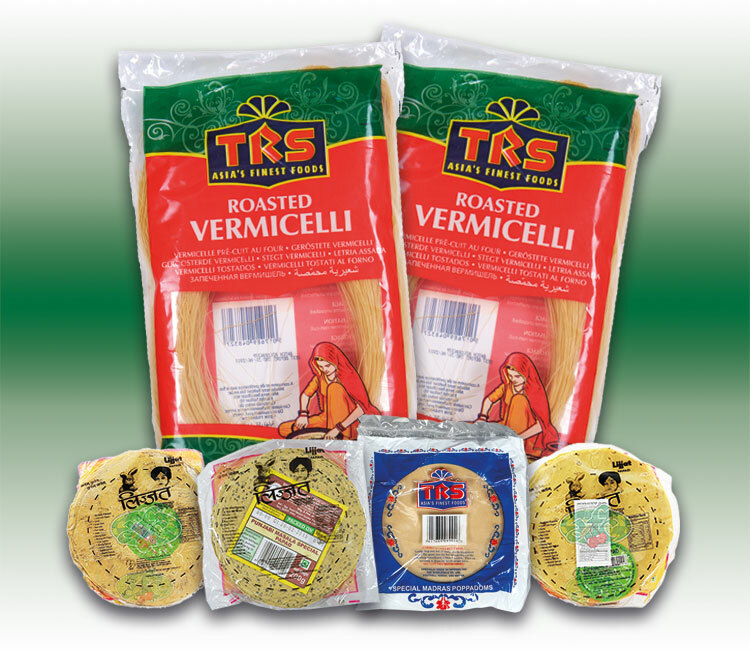 TRS vermicelli is great for making savoury and sweet dishes such as the popular upma or certain types of kheer. 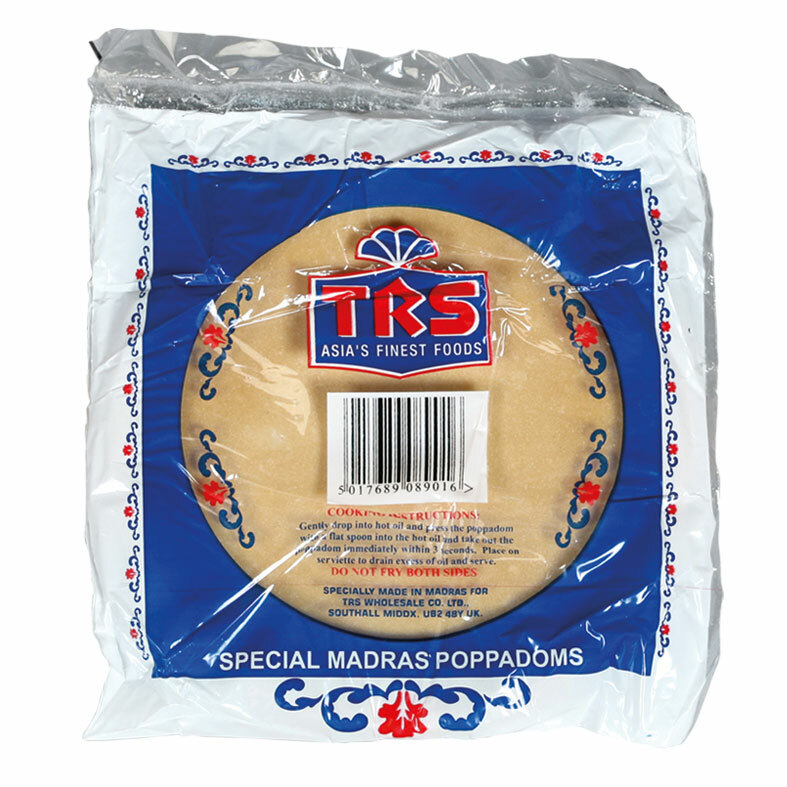 TRS offers a variety of papads which can be served as snacks or appetisers, including the ever popular Madras Pappadums which expand to almost double their size when fried! TRS Papads and pappadums are usually served alongside coriander chutney, biryanis, pilaus and curries. TRS offers various flavours of Lijjat papads such as garlic, black pepper, green chilli and Punjabi papad.